As far as I could see? And smiles just made for me? When He made a "grandma"
I love you so much Grandma! 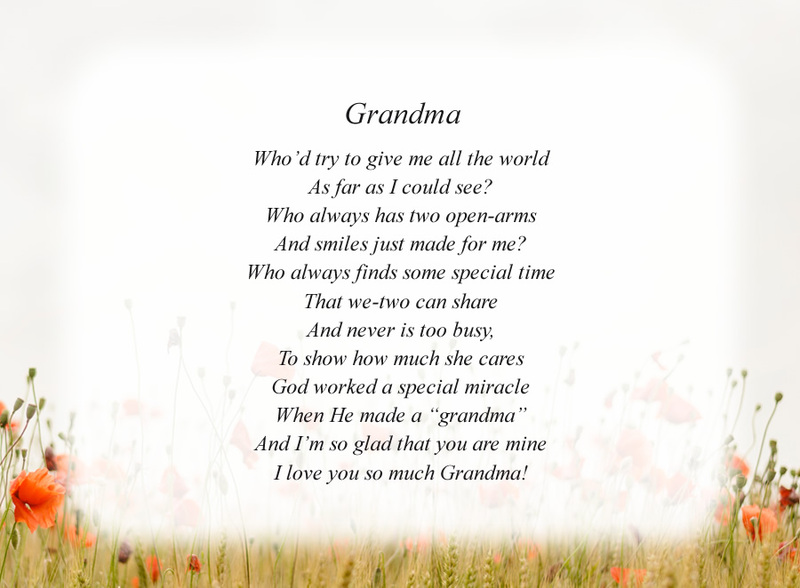 The poem, Grandma, is free and printable by opening or downloading using one of the three links below.